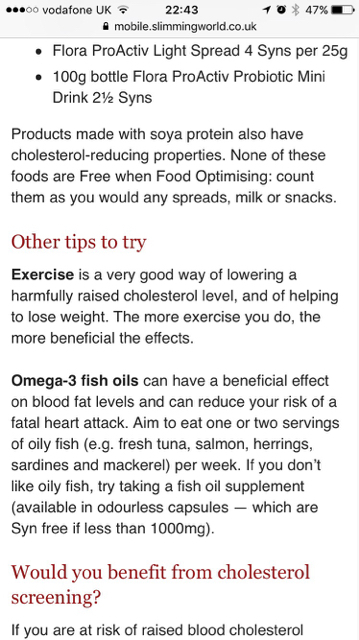 Personally no, I haven't had experience with lowering cholesterol, but then again I've never had it tested! Did your doctor not recommend anything to you? 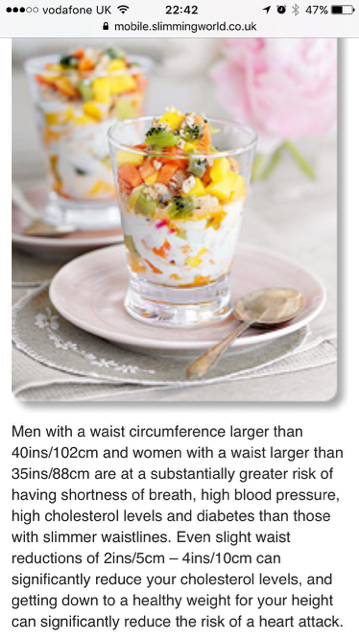 SW is good because it promotes the eating of fresh fruit & veg, along with meat etc with visible fats trimmed. 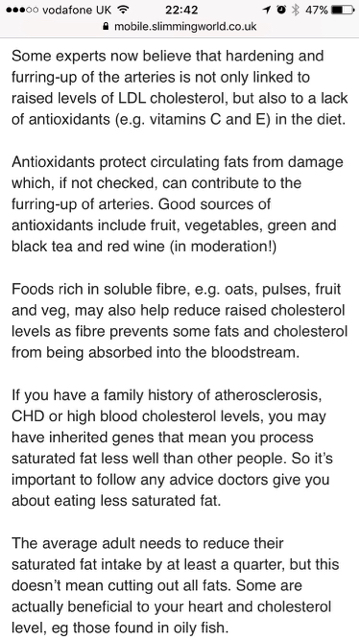 It's designed to help you eat a healthy amount of fat, which we do need technically. I was up in the high 6's. Tablets got it down to low 5's. Aileen tells a similar tale. The diabetic nurse at our surgery can't believe it. It's all those loverly home made vegetable soups that do it. Now if only we could counteract the wind. 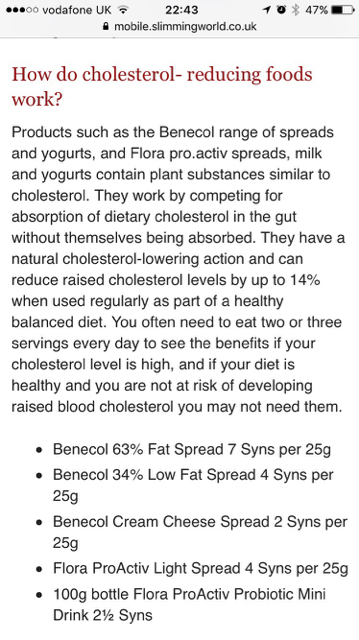 Find more posts on cholesterol, control.